Guy Maddin strikes again. 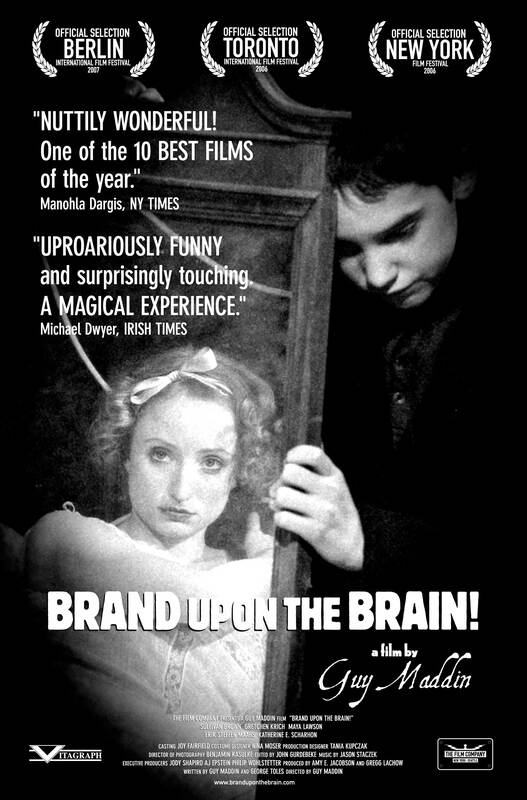 "Brand Upon the Brain," his latest cinema/stage-show/silent film/early talkie/midnight movie will be touring New York, Chicago, Los Angeles, and San Francisco. Here in Boston, we'll just get the movie alone at the Brattle in late June. What, they don't think we can handle the castratos? Pishers. This entry was posted on Thursday, May 10th, 2007 at 10:54 am	and is filed under Movie Nation. You can follow any responses to this entry through the RSS 2.0 feed. You can leave a response, or trackback from your own site.